My intention in this paper is to briefly take up a few of the questions that Memory, History, Forgetting suggested to me, as though on the margins of the work. Nevertheless, my intention is also to briefly deepen two of them. The first (paragraphs 3-4) approaches the question of credibility, which seems to me to be one of the deepest themes of the book, with the idea that our era is characterized more by an excess of incredulity and distrust than by an excess of credulity, notably in the testimony of memory. The second (paragraphs 5-7) addresses the epilogue on forgiveness, where some wanted to see the real sense or topic as a Christian history. Before coming to this place of forgiveness in the economy of the book I would like to mobilize, in the central theme of the representation of the past, everything that touches on the problem of the politics of memory and forgetting, and which culminates in the question of the witness’s credibility. In passing, I will try to reposition Memory, History, Forgetting within the larger horizon of the other works of Paul Ricœur. I would say immediately that in distinguishing the cognitive problem (one remembers what, how?) from the pragmatic problem (who remembers and why? ), Ricœur repeats an old gesture of his, that of the separation-articulation of the modes (semiotic, semantic, hermeneutic in The Rule of Metaphor; or semantic, pragmatic, narrative, ethical, in Oneself as Another). To the power to speak, to act, to impute to oneself actions, here is added the power to form memory (p. 344) or to remember (p. 57). In this gigantic eidetic variation on the subject that constitutes Ricœur’s work, we must renounce with him the search for a variant idem, and to concern ourselves with the variations themselves, where the gaps indicate a selfhood that is never entirely recognized. It enters by way of the theme, always at once epistemic and ethical, of recognition, of a face for example, of the sense of a being or a moment: plain experience, and yet a small miracle of recollection. Ricœur speaks meaningfully at the end of the book of an odyssey of the spirit of forgiveness, and of the incognito of forgiveness (p. 489 and p. 491), to designate precisely in forgiveness this major theme of recognition, here both paradoxical and negative, not by binding a subject to his or her history or actions, but by unbinding. paradoxe indépassable qui s’attache à une conception métaphorique de vérité. Le paradoxe consiste en ceci qu’il n’est pas d’autre façon de rendre justice à la notion de vérité métaphorique que d’inclure la pointe critique du ‘n’est pas’ (littéralement) dans la véhémence ontologique du ‘est’ (métaphoriquement). This touches on the proximity and distance between historic representation and poetic fiction: precisely because it is not about the same absence, it cannot be precisely about the same affirmation, of the same vehemence, of the same attestation. We will come back to this when speaking of confidence and the forms of credibility. Ricœur nonetheless refuses to let uncertainty in its turn become a category that explains everything. (p. 226) It is why Ricœur, after having recognized the unpredictability in which the historical actor moves, faithful to the Arendtian polarity between promise and forgiveness, balances uncertainty and unpredictability by the irreparable and irreversible. At this point he passes perhaps a little quickly over the dispute and the conflict, irreducible to a simple rational competition between choices, through which this very actor has to struggle, to interpret his or her situation and to differ from others. The historiographic conflict of interpretations and systems of historicity is thus founded on the historical disputes themselves. On the other hand Ricœur makes, it seems to me, the irreparable a central category not only for historic representation but for the historical actors, whom we sometimes forget carried with them their own mournings, their own irreparable --and their own disputes about the irreparable. La véritable mimésis de l’action est à chercher dans les œuvres d’art les moins soucieuses de refléter leur époque. L’imitation, au sens vulgaire du terme, est ici l’ennemi par excellence de la mimésis. C’est précisément lorsqu’une œuvre d’art rompt avec cette sorte de vraisemblance qu’elle déploie sa véritable fonction mimétique ... S’il est vrai qu’une des fonctions de la fiction mêlée à l’histoire est de libérer rétrospectivement certaines possibilités non effectuées du passé historique, c’est à la faveur de son caractère quasi-historique que la fiction elle-même peut exercer après coup sa fonction libératrice. Le quasi-passé de la fiction devient ainsi le détecteur des possibles enfouis dans le passé effectif. En fusionnant ainsi avec l’histoire, la fiction ramène celle-ci à leur origine commune dans l’épopée. Plus exactement ce que l’épopée avait fait dans la dimension de l’admirable, la légende des victimes le fait dans celle de l’horrible. Cette épopée en quelque sorte négative préserve la mémoire de la souffrance à l’échelle des peuples comme l’épopée et l’histoire à ses débuts avaient transformé la gloire éphémère des héros en renommée durable; dans les deux cas la fiction se met au service de l’inoubliable ... il y a peut-être des crimes qu’il ne faut pas oublier, des victimes dont la souffrance crie moins vengeance que récit. Seule la volonté de ne pas oublier peut faire que ces crimes ne reviennent plus jamais. It is not that historical causal explanation is a positivistic block inimical to plot. On the contrary, it is that it includes as much interpretation as any narrative. Ricœur thus aims to show that interpretation is in play at all levels, from the documentary research through to the historiographic representation by way of the various hypotheses that enable us to make human interactions intelligible. And that narrative is one figure among others of the representation of absence. It is perhaps that the epic, that others tell of us in the third person, must sometimes give way to tragedy, where the witness and even the actor comes forward personally, who can say: “I was there,” even though they are no longer there, and to share the responsibility of giving back to the past that which is owed. We will now move ahead one more step in our topic, even though we have not lost sight of it from the outset. I spoke of the political problem of just memory, as the second (but not secondary) thread that runs through Memory, History, Forgetting. It is here that Ricœur has attracted the most critical readings to this point, with regard to his notion of the “duty of memory.” Not that he rejects it categorically like Todorov. The duty of memory has an importance for him, and is a concern for a project of justice, even imperative if it is about returning justice to the other. (pp. 86-92). Moreover, one will notice that for Ricœur there is no symmetry between memory and forgetting, and that he objects to the idea of a “duty of forgetting,” not only with regard to amnesty (pp. 500­506), but even in the political project of restoring civil peace. I will note in passing that something like a duty to forget still exists, mentioned in the beginning of the text of the Edict of Nantes, which took France out of the wars of religion, or in the oath not to remember the misfortunes, which led Athens out of civil war. It is why, as a purely political concept, which I would distinguish from a metapolitical or even antipolitical conception appropriate to tragedy, I would readily propose a moderate advocacy of amnesty, in spite of Ricœur’s criticism. But this last here prefers to put forward the acceptance of the divided city, if not actual civic dissensus. We will come back to this. Whence then this polemic against the duty of memory, beyond the fact that most detractors didn’t read the book and are themselves limited to allusions? It is that Ricœur expresses reservations regarding the duty of memory, when it is excessively expanded beyond the sphere that we just addressed: these reservations arise from the difficulties in controlling memory, and from the danger of implementing a politics of memory that is inscribed in terms of obligations, rights and prohibitions. This is why there are not only abuses of forgetting but also abuses of memory. There are false memories, cardboard memories. And this is why he prefers to speak of a “work of memory,” where the memory of misfortune, far from deadening us to the misfortunes of others, opens us to them. This is how the indispensable and vital memory does not short-circuit history and critical distanciation, but rather releases repressed memories with its touch. Emancipation never abolishes childhood, and what was but is no more always demands to be told. One sees, in this mutual overlapping of history and memory, this double connection, the extreme care that Ricœur always takes to maintain both the continuity and the dis­continuity of the problems. Not only are the problems of fidelity and truth irreducible, but they are also inseparable. It is this requirement that refuses the dogmatic synthesis just as it refuses the relativistic juxtaposition, and which sustains the theme of civic dissensus. It is time to linger a moment on this superb theme. To properly situate this notion it seems necessary to retrieve what Ricœur calls the overlapping constitution of individual and collective memory: on the one hand one does not remember all alone, (p. 121) but on the other hand only singular points of view exist within the collective memory. (p. 123) The intermediate and central category here is the one of the memory of close relations, those about whom I can offer my testimony, those who can attest on my behalf, those that can deplore my death, and those whose death I can deplore just as they could rejoice in my birth or I could rejoice in theirs. But close relations are not only in an intermediate sociological category between the individual and the collective. It is a quasi-ontological dynamic of possible closeness and the remoteness: the close relation is the one who makes herself close, or who is suddenly drawn close by some event. Proximity indicates a vital, ethical, or contemplative impulse. Somewhat in the sense of what Kierkegaard calls the contemporary, close relations are those that can make one a contemporary, even if their coexistence seems anachronistic and they belong to different language worlds and generations. Ricœur goes so far at to define them as those who can disapprove of my acts but not of my existence. (p. 132) Into this mutual attestation slips a plurality, most notably an acceptance that my history can be recounted in diverse ways, represented by others. (p. 299) Moreover, it is in this intermediate time and the indirectness of the connection to close relations that the range of our differences of points of view in relation to an event is shaped, a gap that is the very shape of our temporality: what makes us contemporary can also make us anachronistic --and the “petit miracle de la reconnaissance” or of recollection is perhaps just such an experience of anachronistic contemporaneousness. However, it is exactly this dissensus that forms citizens capable of standing in the absence of a last judgment, capable of holding the tension of the sharing of the responsibility between the singular imputation of fault to the guilty individuals, and the political imputation to a consenting community. The citizen appears in the refusal that guilt be so tightly focused that all others can unload it onto a few guilty emissaries. But the citizen also appears in the refusal that responsibility is so diluted, explained, compared, and relativized, that no one is responsible for anything. (p. 330) The citizen is moved to take the responsibility on herself and share it. It is this remark that I would like to meditate on in the lines that follow, because Ricœur makes a sensible point about the contemporary condition, not only the historic condition, but language and politics in general. And I believe it important to point out everything in the book that bears on it because I believe that it is one of the main questions that the book leaves us with, a common question that it opens. In the cited passage Ricœur spoke of archives. But more broadly it is of course about the credibility of the testimonies, that asks, beyond the critical confrontation, a minimum of mutual approval, the acceptance that there can be for each something indubitable: “we have nothing better than testimony, in the final analysis, to assure ourselves that something did happen in the past.” (p. 147) It is the foundational thesis of the book. I first say mutual approval, because the fabric of confidence in this institution of institutions that is speech, in the possibility to speak and to act, is woven of a mutual and fundamental confidence in the simple existence of each other. Common to both the judge and the historian is certainly their practice of confronting and controlled handling of suspicion, but also the installation of common rhetorical space, even if the rules and the institution do not always take the same shape. The courthouses cannot decree historic truth, and history, concerned as it is to render to all their due, is not to be decided in a courthouse. It is not by chance that Ricœur begins this chapter on “Forgetting and the Persistence of Traces” and the small miracle of recognition (p. 427), by expansive discussion on the confidence and distrust in the possibilities of memory, that accompany and mutually approve each other without definitively overriding the other. I think that here we have a firm grasp of the disturbing point, that keeps us in suspense and requires the courageous response of attestation: to testify in spite of the feeling that it is not heard. But this requires and calls for no less the courage to hear, to listen. And it is also necessary that the listeners be believable, capable of rebuilding their existential consistency as listeners while really taking account of what they heard, and capable of making it so that this experience, far from closing them, opens them to the possibility of other experiences of listening. The reception of the testimony is as important a critical element as its reliability. The whole question is to increase the public’s ability to actually receive the testimony. This point seems quite important to me, and it seems legitimate to me to consider that Ricœur suggests it implicitly. In the lonely anguish to which we have just pointed, a thoroughly terrible philosophical question slips in, the question of skepticism, that is also the one of solipsism. One comes closer here to Wittgenstein, and to the question of skepticism, i.e., the withdrawal of each into one’s private language, doubting that whatever it is can really be known or com­municated. We need not believe that we can share our experiences so easily, and even less to impose them on others. However, one does not remember all alone, and history is the work of many. It is because of this delicate balance between trust and dissensus that the historian must broaden the range and what Ricœur calls “l’échelle des aspects non quantitatifs des temps sociaux.” He thus mentions authors such as Bernard Lepetit to show how the slow continuity and discontinuity of changes, with regard to the agreements and deep disagreements of a society, should be treated as the opposite ends of the same spectrum. As with the philosophy of ordinary language, the solution to the problem is not found in an assured certainty, but in the confident acceptance of this uncertain situation, of this troubling strangeness of the ordinary, in the wonder that we nevertheless so often mange to understand one another, trust one another, without ever being able to force it to happen. Recall the formula: “we have nothing better than testimony, in the final analysis, to assure ourselves that something did happen in the past.” (p. 147) I would gladly bring it closer to the famous words of J. L. Austin, in How to Do Things with Words: “Our speech is our action.” How to trust language, but not to put our trust in it? How do we not credit the capacity of the ordinary actors, speakers, and narrators to express more or less what they do and feel, and to understand and want what they say? Can we make a last step toward our topic without this, turning suddenly toward us, sending us back to the gate, forcing us to start again on a different path? We are going to come back to the point where we were while going off in quite a different direction, and this will be our second digression. The place granted to difficult forgiveness in the epilogue of Memory, History, Forgetting, touches very near to some very old concerns of mine, and I am very sensitive to the remarkable ambiguousness in which Ricœur places forgiveness, because he situates it well inside his book as something that comes down from its unconditional height to move across the set of institutions (legal imprescriptibility, citizenship of historical responsibility) and exchanges (restoration of a possible reciprocity) before coming back to that which I called the negative recognition of the release: an order to be bound by a promise, the subject of an action must also be able to be released from it through forgiveness. (p. 459) In this difficult moment, forgiveness must pass through the test of justice, not short-circuit it, (p. 473) and Ricœur speaks of the conditionality of the demand of forgiveness, against the unconditionality of a forgiveness granted. Ricœur declared earlier in the text that it was necessary to place forgiveness “outside of the text.” In the optics of the book, the depth of “fault belongs to the parerga, the ‘asides,’” (p. 461) like all limit situations he addresses in the epilogue. We might object that if it is no longer about the major question of the representation of the absent past, we are nevertheless involved in the other big question, the one of a just politics of memory and forgetting. But Ricœur challenges the idea of a politics of forgiveness: the collective is incapable of forgiveness, of escaping from the friend-enemy relationship. (p. 476-477) And there are no doubt things that are not so decided, and on which coercion has no hold. To understand this point properly, it is important to note Ricœur’s extreme distrust with respect to love, and more precisely with respect to all premature synthesis between religious ethics of reconciliation or even merely of the compassionate agape, and the ethics of the magistrate. If there is no politics of forgiveness, it is that love “proves to be foreign to the world and, for this reason, not only apolitical but antipolitical.” (p. 488) Ricœur, as always by another path, converges here with Hannah Arendt, in this distrust regarding compassion that does not leave any room for debate, distance, plurality, for conflict itself --and therefore for its rules. On the other hand, neither is it about bringing back all unity in history or justice under the sign of synthesis; it is precisely that there are different forms of impartiality, there is no absolute third, as if it were so important to allow room for an antipolitical fringe. The gap is irreducible, and perhaps it is this anachronism that makes time human. I would guess, and this is what I would like to explore in the pages that come, that the word parerga, parergon, can help us to think through the ambiguous position of forgive­ness and love in the epilogue. An epilogue is not a conclusion. 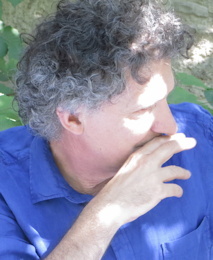 Ricœur speaks of incom­pleteness. I will add that it is less about a step in the same direction or a reconnection that enables a consolidation of all that has been achieved along the way, than of a kind of “de­totalization,” of a return to the beginning --but of course then, one does not begin again in the same way. The term of parerga is used by Kant in the final note that completes the first of the four general remarks that finishes the four parts of The Religion within the Limits of Reason Alone. These four remarks are about grace, understood as that which is confined to religion, and give it its frame but would not know how to become an integral part of it. The inactivity of grace must remain an outside limit to religion. In the same way, it seems to me that Ricœur places his epilogue under the title of forgiveness (and of an economy of the gift and the loss), to situate it on this margin that is neither inside nor outside. détachée du contexte de la règle d’or, la règle du maximin resterait un argument purement prudentiel, caractéristique de tout jeu de marchandage. Non seulement la visée déontologique, mais même la dimension historique du sens de la justice, ne sont pas simplement intuitives, mais résultent d’une longue Bildung issue de la tradition juive et chrétienne, aussi bien que grecque et romaine. Séparée de cette histoire culturelle, la règle du maximin perdrait sa caractérisation éthique. Sans le correctif du commandement d’amour, en effet, la règle d’or serait sans cesse tirée dans le sens d’une maxime utilitaire dont la formule serait do ut des, je donne pour que tu donnes. La règle: donne parce qu’il t’a été donné, corrige le “afin que” de la maxime utilitaire et sauve la règle d’or d’une interprétation perverse toujours possible. Likewise, here forgiveness works horizontally like a demand of reciprocity submitted to rules and conditions. Sometime it works vertically as the unconditional that can appear but cannot be forced to appear, but is attempted --thinking ourselves capable. It is thus necessary to move constantly to assume the responsibility of the demands of forgiveness, to make oneself capable of it (which is submitted to conditions), while at the same time also to accept oneself as incapable, impotent (it would be necessary for the forgiveness to be entirely selfless and one never knows if it is). As always, and a little like a Platonic dialogue, Ricœur stages this disproportion through readings that he opposes and conjoins, by which he lets them somehow conspire before arranging them and bending them to his plan. It is in this way that he borrows some elements of my analysis of the moral dilemmas of horizontal forgiveness, and borrows from Derrida some of the essential characteristics of the height of vertical forgiveness. And this is how he constructs his frame, which is like the limit idea of the whole book. It is a Kantian idea, and it is as if he defended a Kantian concept using human history. on transpose et fait entrer de force un cadre logique pour l’imposer d’une structure non logique, une structure qui ne concerne plus essentiellement un rapport de l’objet comme objet de connaissance. Le jugement esthétique, Kant y insiste, n’est pas un jugement de connaissance. Le cadre de cette analytique du beau, avec ses quatre moments, est donc fourni par l’analytique transcendantale pour la seule et mauvaise raison que l’imagination, ressource essentielle du rapport à la beauté, se lie peut-être à l’entendement. le rapport à l’entendement, qui n’est ni sûr, ni essentiel, fournit donc le cadre à tout ce discours; et en lui le discours sur le cadre ... tout le cadre de l’analytique du beau fonctionne, par rapport à ce dont il s’agit de déterminer le contenu ou la structure interne, comme un parergon. The frame becomes in its turn an example of that which permits its consideration as an example, a parerga of that which permits its consideration as a parerga. It is toward this bizarre composition of settings in the depths that Derrida is heading. For him, if Kant dismisses a supplementary frame based on another supplementary frame, it is because the judgment of beauty remains spellbound by the model of pure presence, released from all supplement, and that this presence gives way --from whence the mourning, that means disinterestedness (the possible). le plaisir suppose non pas la disparition pure et simple, mais la neutralisation, non pas simplement la mise à mort mais la mise en crypte de tout ce qui existe en tant qu’il existe. We know, we have just recounted, that Ricœur considers the notion of a “work of memory” as more sufficient than one of a “duty of memory.” He relates it to the work of mourning, and we have seen how pervasive the notions of mourning and burial were in Memory, History, Forgetting. There would be thus, as in La Recherche du temps perdu, a kind of memory that comes back from mourning, an orphism of memory. We recover in memory only that which was truly lost. There is however another side of the work of memory, more lively, inchoate, a side of memory somehow newborn. And it is there that Ricœur parts ways with Derrida: one could bring the work of memory, of that which he esteems in The Rule of Metaphor as the work of resemblance --which in turn does not seem to be very far from what he calls “the small miracle of recognition,” closer to this fundamental notion that recognition almost no longer works. We will come back to this. What is this sought after resemblance? In a superb text “Sur un autoportrait de Rembrand,” Ricœur suddenly asks what allows thought that the represented face is that of the painter himself. Because the date and the signature of the picture say the painter’s name, but it is an external legend that indicates that it is regarding a self-portrait. The canvas represents one who is absent, the author of the canvas died, and we are told that they are identical. What is this identity? Faithful to his hermeneutics, Ricœur insists on the fact that while doing this “painting examination” (in 1660, a difficult moment in his life), Rembrandt proposes an interpretation of himself, and that the work is henceforth orphaned from its author and its context. Just as living speech made room for writing, the work is unglued, unmoored, and there is nothing to look for around or behind it other than the absence of the one that rendered in this portrait what he saw of his face, and that he died. And this portrait, precisely because it is orphaned (I would say unmoored), looks at us today, made of us its contem­poraries. It makes us see new resemblances. Dans un autoportrait, on se rend soi-même. À soi-même. … Mais rendre n’a pas le même sens dans les deux locutions: se rendre en peinture et se rendre quelque chose à soi-même, se payer. … et se rendre à quelqu’un serait pour qui se livre dans une reddition, un quatrième sens. Van Gogh a rendu ses chaussures, il s’est rendu dans ses chaussures, il s’est rendu avec ses chaussures, il s’est rendu à ses chaussures, il s’est rendu ses chaussures. What would be the differend between Derrida and Ricœur? I don’t know. Mourning is not the same, maybe, but do we ever have the same mourning, and is it not just this that makes it irreparable? In La métaphore vive Ricœur discussed the deconstruction by which Derrida, in his Mythologie blanche, sees a western metaphysical bias acting on the whole of modern philosophical discourse with metaphors that are worn-out, sedimented, eroded, apparently abolished, but that conceal themselves of it. Le coup de maître, ici, est d’entrer dans le métaphorique, non par la porte de la naissance, mais, si j’ose dire, par la porte de la mort. Le concept d’usure implique tout autre chose que le concept d’abus que nous avons vu opposer à celui d’usage par les auteurs anglo-saxons. But it is not enough to resuscitate metaphor under a concept, to show its reproductive mechanism: first because, it seems to me, wearing down itself could produce new signif­ications, through the crumbling of semantic spheres, or setting in relief the sense that emerges in ordinary use. And then there is that which Ricœur, in a sort of secondary Kantianism, calls “le schématisme de l’attribution métaphorique,” the possibility that original gaps slip into an old metaphor, reopening it, and to making it say something quite new; finally because there exists, constantly, always already taking support from the network of sedimented metaphors, the invention of new living metaphors. Forgiveness introduces at once a link, a bond of debt and mourning, and an unbinding, a rupture, the faculty to start over. It is why there is no need to raise the birth to the point of making it a triumph of life, like an unending process of renewal, which would completely lack the tragic. The theme of birth appears since Le volontaire et l’involontaire as even more radical than that of death, and comprised at the same time of the vigorous joy in the new, and of mourning. Birth is also orphaned, it is a necessary facet of all experience, a fundamental limit. And I would quickly point out that the last pages of Memory, History, Forgetting, which foreground the undecidable character of the polarity that divides forgetting between the grief-stricken entropy of erasure and the joyful confidence in that which he calls the forgetting in reserve, brings this equivocation to its paroxysm. If we give credit to the competence of ordinary beings in the face of time, we will not then think of mourning without thinking of birth, that is to say the desire to be --it is here that the Bergsonianism probably conceals a discreet Spinozism, a deeply affirmative orientation, approving of the thought of Paul Ricœur, who ends his book on the notion of life, of incompleteness. But this living continuity that one recovers with the astonishing idea of a forgetting in reserve that he opposes to the forgetting of erasure, to the discontinuity of deaths and births, as being of the same strength, does not designate something that would be at our disposal (otherwise this would not be of the order of forgetting), but something that arranges us. Moreover: in this respect, there is no representation of the past that could be a resurrection of it, that would no doubt require a finished work of memory (p. 499) --mourning is there to separate the past from the present and to make room for the future, that is to say for being carefree, for forgetting oneself. Whence comes the final Kierkegaardian note. It is indeed a point where one can speak of a stilled forgetting, (oubli d vr) and Ricœur then cites the magnificent pages of Kierkegaard on the lilies of the field and the birds of the sky, who do not work, do not compare, who forget themselves. This insouciance, this unbinding of the care of self, is again a theme of the forgiveness, not only as a place made for oneself as another, but also as an erasing of oneself before another, and who comes to be, to appear in world. It is exactly because there is the melancholy, the very impossibility of completing the task of mourning, that there is birth that neither finishes nor supplements this work, but stills it. The difficulty of forgiveness is to yield neither to the vertigo of entropy, the wear of forgetting, the habituation that relativizes all and by which all returns to indifference; nor to yield to the prestige of negentropy, of this negative entropy by which memory would wish to be able to reclaim everything, to sort out and calculate with no remainder, in a total recollection and redemption of the past in its entirety. It is to the point that it seems to me possible to drive the idea, that the epilogue on forgiveness in parergon of Memory, History, Forgetting, is a limit, a paradox, a horizon, the place of tension, of torsion or the about-face of all discourses. This horizon is less defined as a fusion of horizons in Gadamer’s sense than as a flight (fuite) of horizons, and an incompleteness. (p. 538) The eskhaton is not the Last Judgment, which Ricœur greatly mistrusts (it is for him a contradictory notion, and even then there is no absolute third). And the odyssey of forgiveness ever reaches the promised land. It is that which Ricœur shows in his magnificent reading of hope in Kant. To really grasp this point, I would say that Ricœur doesn’t conceive of forgiveness at all as the crowning or teleological reconciliation of history, but as an eskhaton,a constituent limit, and I would almost call it an ordinary condition. And it is why in my small article on “Le pardon ou comment revenir au monde ordinaire,” I protest against a way of pushing forgiveness too far, outside the world, into an impossible extraordinary, and attempt to come back from a sublime and inaccessible forgiveness to one that is less dramatic. The eskhaton, in fact, is not the end of the world, just the opposite. It is elsewhere also the main argument of Ricœur against a deconstruction that wants to be total: it is not necessary to construct a metaphysics of the original and the metaphorical on the duality of the figurative sense and the literal sense, because the latter means only current, usual. And if ordinary language is likewise entirely metaphorical, how do we get out of it, how do we not trust these normal anomalies of language that are our metaphors, all not-yet-lexicalized usage? I wrote above that if forgiveness appeared as this detotalization, a return to the beginning, one did not begin again the same way. If it was necessary to begin again, I would begin with Kant’s emphasis, in The Critique of Judgment, on the questions of receptiveness. This is not only the feeling that beauty speaks, but that we do not know what it says (this is no doubt hope). This is not only that in the absence of a third we can make room in ourselves for the possibility of another point of view, in a sort of enlarging of the imagination. (p. 414) It is the fact that my judgments, my memory, even my testimony, cannot be forced, obligated, ordered, nor imposed, and that their credibility and their very communicability rests, fragile, on the manner of which they are confided in their receivers. But as with pleasure, joy, or love, if forgiveness cannot be imposed (p. 471), is still works as something of a traversing of distrust and skepticism, not toward an assured and absolute confidence, but toward a confidence in the possibility of acting and speaking, and the indubitable recognition that “this was.” (p. 429-430) This zigzag of confidence in one’s own testimony, which renders to the testimony of others the confidence that is due, seems to me the beating heart the work that has been given us here to discuss and reflect on together. Paul Ricœur, La métaphore vive (Paris: Seuil, 1975), 321. Translator note: As the primary text, quotations from Paul Ricœur, Memory, History, Forgetting, are taken from the Kathleen Blamey and David Pellauer translation (Chicago: University of Chicago Press, 2004). All secondary quotations have been left in the original. Paul Ricœur, Temps et Récit 1 (Paris: Seuil, 1983). See the entire first part on emplotment. Who looks to reduce uncertainty and who exists only in somehow formulating vows or promises. See the work of Arendt and Nietzsche on promising. Paul Ricœur, Temps et Récit 3 (Paris: Seuil, 1984-85), 198f. Ibid., 358-359. These are the pages that had struck me ever since they appeared. See Nicole Loraux, La cit divis (Paris: Payot, 1997), 256 and 277, and idem, La voix en deuil (Paris: Gallimard, 1999). Paul Ricœur, Du texte á l’action (Paris: Seuil, 1986), 102 and 193. See also p. 646. Ricœur is speaking of the horizon of accomplishment of a historical knowledge that is aware of its own limits. Olivier Abel, Paul Ricœur, la promesse et la règle (Paris: Michalon, 1996). “Une théorie purement procédurale de la justice est-elle possible?” Paul Ricœur, Le juste (Paris: Esprit, 1995), 96. Paul Ricœur, Amour et justice (Paris: PUF, 1997), 56-58. Paul Ricœur, Lectures III (Paris: Seuil, 1994), 13f. Jacques Derrida, La Vérité en peinture (Paris: Flammarion, 1978), 435. “Ce sont les grandes métaphores ontologiques de la présence, de la demeure, du sol, du soleil, vers lesquelles se retournent les figures de la philosophie depuis Platon (cited in Ricœur, La métaphore vive, 367). This unbinding is a completely primary metapolitical theme, hearkening back to the Puritan Reformation, on the right of breaking alliances and contracts. At the same time it is a comic theme, a theme of wisdom: thus Ricœur develops elsewhere more tragic and epic theses, which do not allow us as easily to think the binding of the agent and his act that Badiou attributes to Ricœur as a Christian conception of the subject. Since then I have explained this in an article appearing in the Herne journals. This would also be a mistaken reading of Hannah Arendt. It is the sense of the protest of Jankélévitch but also of Nietzsche’s criticism of Schopenhauerian detachment. It is by this double movement, no doubt also influenced by a reading of a great essay by Jean-François Lyotard on Hannah Arendt (entitled Survivant, in his Lectures d’enfance), that I achieved my “Tables de Pardon,” in the appendix to Le Pardon, briser la dette et l’oubli (Paris: Autrement, 1992). There he asks: “ajouter à l’objet de sa visée, pour qu’il soit entier, ce qu’elle a exclu de son principe, pour qu’il soit pur.” And radical evil “n’aît sur la voie de la totalisation, il n’apparaît que dans une pathologie de l’espérance, comme la perversion inhérente à la problématique de l’accomplissement et de la totalisation.” See Paul Ricœur, “La liberté selon l’espérance,” in idem, Le Conflit des interprétations (Paris: Seuil, 1969), 407, 414. Grace does not come as the crowning moment of nature or history, it precedes them as a first unlinking, a recommencement, a first gift, a free giving, an offer where forgiveness is but gratitude and recognition. It is why, during a 1996 course I gave in Lausanne on “Le pardon, l’histoire, l’oubli,” I adopted this alternate syntax (also used in my Esprit article in 1993: “Ce que le pardon vient faire dans l’Histoire”). Starting from an unconditional and impossible forgiveness, passing by way of the pragmatics of conditional forgiveness, I then moved toward an anthropolgoy of a necessary forgiveness. It is this first forgiveness that I then confronted with two kinds of tragedy, the tragedy of conflict with respect to disagreements in history, and the formidable work of emplotment they require. The tragedy of the irreparable with respect to the double work of memory and forgetting culminated in moderate praise for forgetting. See Ricœur, La métaphore vive, 369.